SATURDAY, Aug. 13, 2016 (HealthDay News) -- All cyclists should wear bike helmets, which can reduce the risk of head injury by as much as 85 percent, safety experts say. About 800 bicyclists are killed and 500,000 more are treated in emergency rooms every year in the United States. Roughly two-thirds of the deaths and one-third of the injuries involve the head and face, according to researchers at the Cleveland Clinic. When buying a bicycle helmet, look for a U.S. Consumer Product Safety Commission (CPSC) sticker inside the helmet, which ensures it will provide a high level of protection. 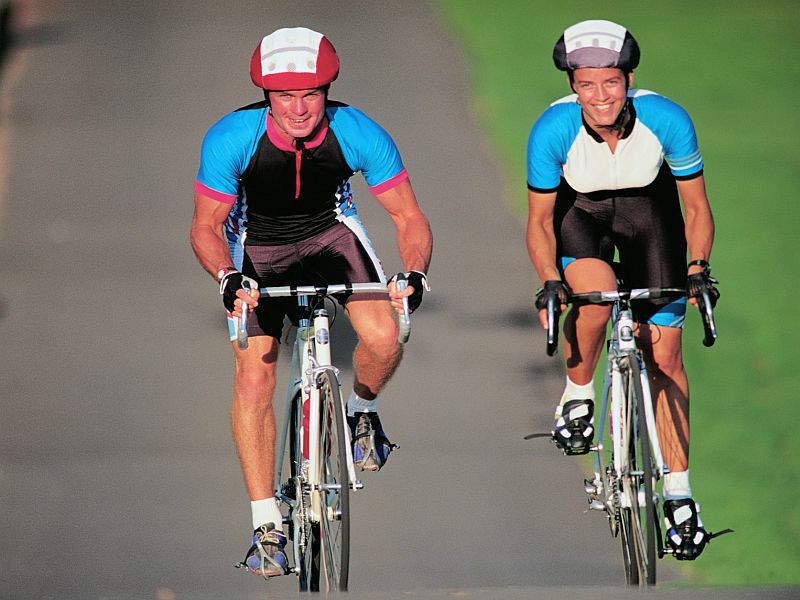 A helmet should be snug but comfortable when buckled, and should not be able to move up and down or side-to-side. It should fit level on the head -- not tilted back -- and rest low on the forehead, about two finger widths above the eyebrows. Helmets come in different sizes and with varying thicknesses of internal padding so they can be custom-fitted to a rider's head. If you have trouble fitting a helmet, ask an experienced salesperson for help. Adults should set an example for children and wear a helmet when cycling, the researchers suggested in a clinic news release. Get kids used to wearing a helmet at a young age, such as when they start riding a tricycle. As long as it fits properly, let children choose their helmet. They will be more likely to use it. Bicycle helmets can also be worn when in-line skating or roller skating, but skateboarders or skaters who perform tricks should consider helmets made for such activities. These helmets cover more area, especially the back of the head, the Cleveland Clinic said.